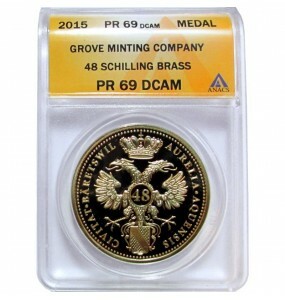 4 Piece Set of all Grove Minting Thaler Series - 48 Schillings. 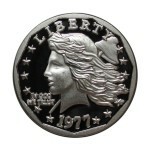 The Grove Minting Company commemorates the 40th anniversary of 1977 to United States Mint Engraver, Frank Gasparro's Pattern Liberty Dollar. This Flowing Hair Liberty Head Obverse / Eagle in Flight Reverse features a Liberty Head and Liberty Cap on Pole, with a Flying Eagle featuring 13 Stars and 10 Rays. 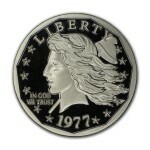 Special second strike in .999 Silver. 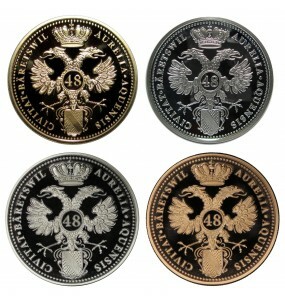 2011 Silver Commemorative of the 1837 Feuchtwanger Cent. This commemorative is Proof Struck in solid .999 Silver, weighing 1/10 a Troy Ounce at 18mm wide (about the size of a US Dime). 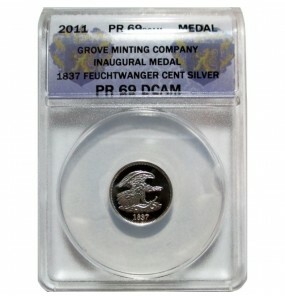 JUST RELEASED The Grove Minting Company commemorates the 225th anniversary of 1793 to one of the first United States coins, the Chain Cent. 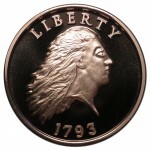 This Flowing Hair Liberty Head Obverse / Chain Reverse features a Liberty Head and motto, with the classic chain surrounding the Grove Minting Crest; the Lion & Anchor. 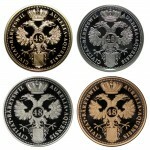 2013 Silver Commemorative Centurion Half Dollar. 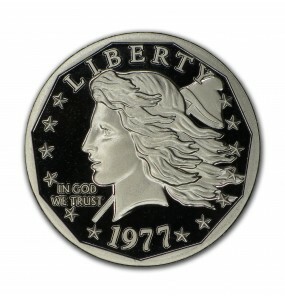 This commemorative is solid .999 Silver, weighing 1/2 a Troy Ounce at 30mm wide. 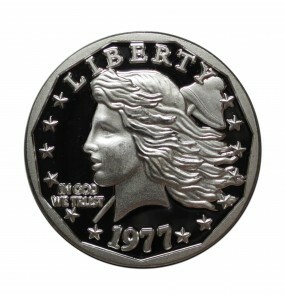 2014 Silver Commemorative Amazonian Dollar. This commemorative is solid .999 Silver, weighing One Troy Ounce at 39mm wide.